Sheet metal workers often lift heavy materials and stand for extended periods of time. Those who install sheet metal must often bend, climb and squat. Most work is full time. Sheet metal workers learn their trade through a registered apprenticeship program that is usually cost free to the student. A high-school diploma or equivalent is required to begin your apprenticeship and career in the trade. After the apprenticeship and based on certifications, a journeyperson sheet metal worker (a qualified and skilled person in a trade), can earn upwards of $40.00 an hour. Employment of sheet metal workers is projected to grow 7% from 2014 to 2024, about as fast as the average for all occupations. Job opportunities should be particularly good for sheet metal workers who complete apprenticeship training or are certified welders. 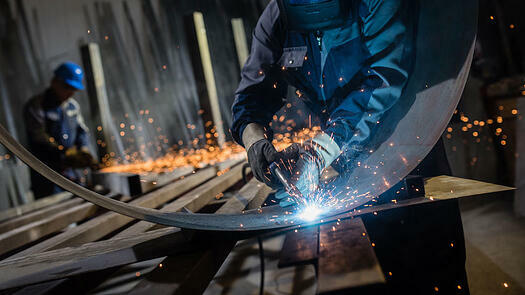 Learn more about a career as a SHEET METAL WORKER!